He doesn't breathe fire, but this winged dragon is sure to ward off bad luck while he flies over the rooftop of your house, barn, garage, or cupola. 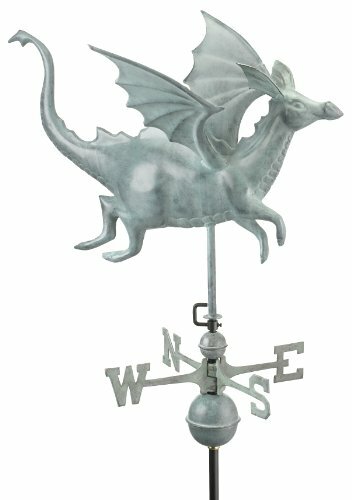 Our Good Directions' artisans use Old World techniques to handcraft this fully functional, standard-size weathervane that's unsurpassed in style, quality and durability. 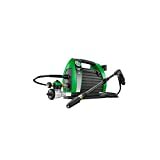 Includes an easy-to-assemble, all-weather mounting rod to ensure years of maintenance-free enjoyment. A great gift for fantasy enthusiasts. Measures 30-inch L x 18-inch H x 19-inch wingspan - ideal for your house, barn, garage, or cupola. Includes easy-to-assemble, all-weather rod, solid brass directional and copper spacer balls. 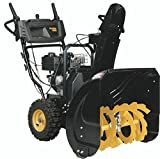 401AL Roof Mount sold separately.